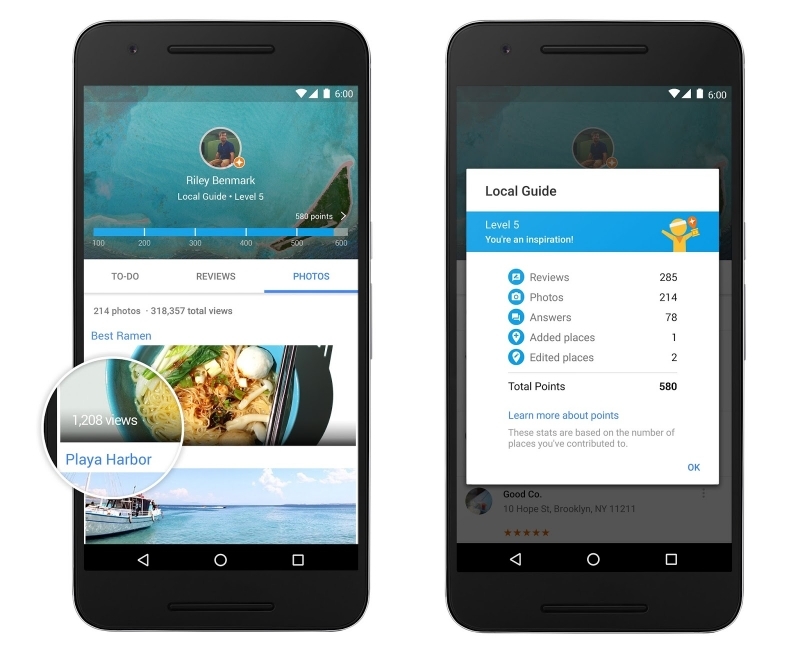 Google has updated its Local Guides program for Google Maps by offering new rewards, including 1TB of free space on Google Drive, to users who leave reviews, add photos, answer questions and update other information. Local Guides is “a global community that helps you explore the world while earning perks,” according to Google. In order to compete against the likes of Yelp and Foursquare, the program uses a leveling system that awards points to active users, with each level bringing a new reward. The first level, which requires between 0 and 4 points, lets users participate in exclusive contests to win various Google devices and services. They can also join Google-hosted workshops and hangouts. Level two (5 to 49 points) gives users access to new Google products and features, while level three (50 to 199 points) assigns a Local Guides badge to a person - indicating that they are a trusted guide. Users who reach this third level will also receive invites to Google-hosted events in select cities. The top two tiers contain the most appealing awards, naturally. Anyone who amasses 200 to 499 points will move to level four and get the 1TB of free Google Drive space, which normally costs $9.99 a month. While those who manages to collect over 500 points and reach level five will be invited to attend the inaugural Local Guides summit in 2016, where they can "meet other top Guides from around the world, explore the Google campus, and get the latest info about Google Maps." Users who hit this level will also get early access to new Google products and features. With each new piece of uploaded information counting as one point (limited to five points per place), climbing to the higher levels may take some time. But unlike similar promotions from other companies, Google’s top tier rewards - especially that 1TB of cloud space - are pretty impressive.